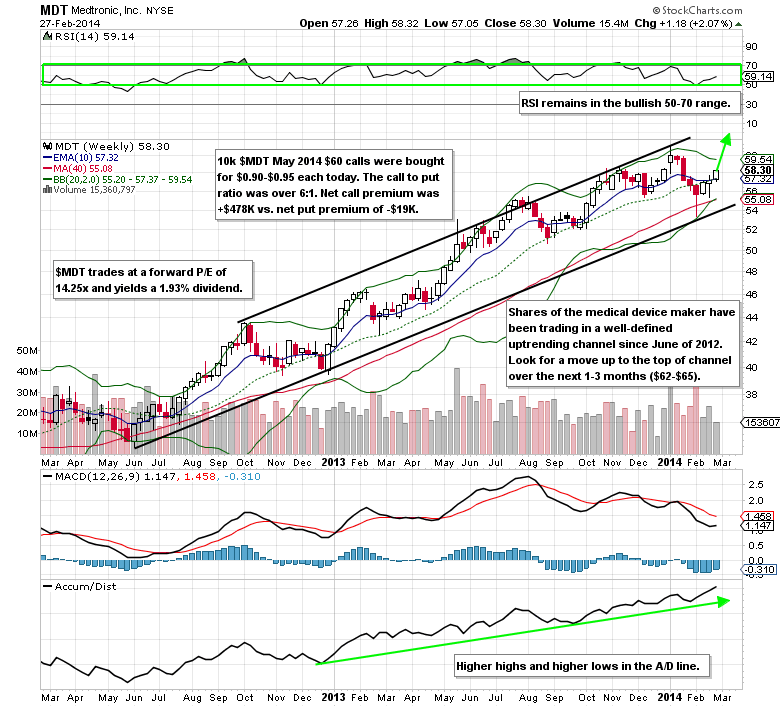 Notes: We’re long the (MDT) May 2014 $60 calls for $0.99 each. Medtronic is set to announce Q4 earnings on Tuesday, May 20th. 2014 LIMITED TIME OFFER– Save over 33% off the retail price ($299.95) of a 1 year membership. This $199 offer is only available through Friday, February 28th. Premium Subscription: Join now to gain access to the all of the stock watchlist updates, unusual options activity reports (30-50 stock and option trade ideas like the one above every week), earnings trade ideas, weekend market updates, Premium Twitter feed, and more! All for just $29.95/month or save by purchasing an annual subscription. Join me and the other ORM traders in the chat room today!